Jackie first came to the Shark Lab as a volunteer in 2001. 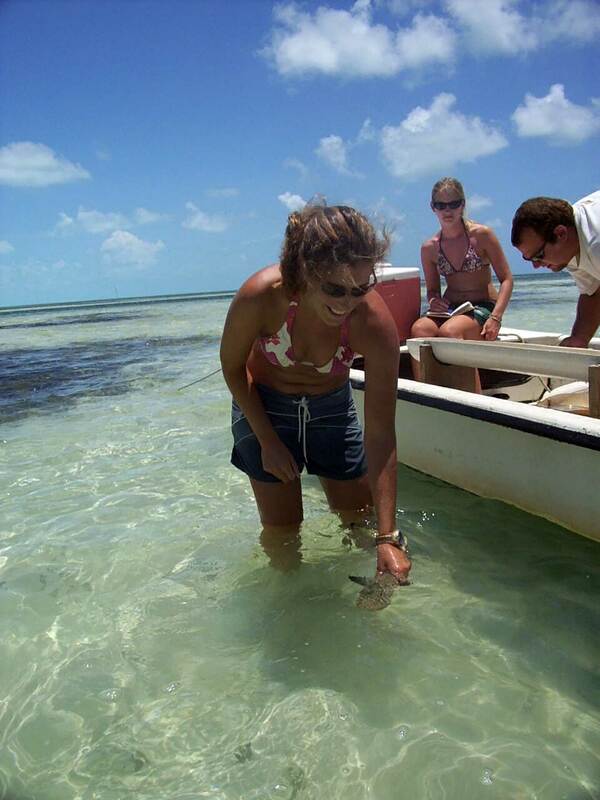 During the 3 months she was at the lab she also collected data for her undergrad thesis (Diet of the juvenile Lemon shark). She returned in the spring of 2002 to take on the role of lab manager and stayed at the lab until the summer of 2004. One of the funniest moments was when visiting photographer, Eric Cheng, set up a hidden video camera in the lab. This was during PIT in 2003 and certain songs were played on repeat. Doc was on the computer and starting playing ‘Damn it feels good to be a gangster’ by the Geto Boys. He then proceeded to sing/rap along to the lyrics, and it was all caught on video. Shortly after returning to the lab as manager, Grant, myself and a few volunteers were out on the boat on a day off. The water was clear and flat. We drove by what we thought was two mating nurse sharks. After turning the boat around, we realized that it was a 16ft sawfish. One of the most incredible things I have ever seen. We could not contain our excitement, and were blown away at the size and grace of this creature. One of my favourite memories of being on a boat in Bimini. The Shark Lab taught me the importance of work ethic and helping each other out. The lab could not run without the dedication and commitment of people giving it their all. 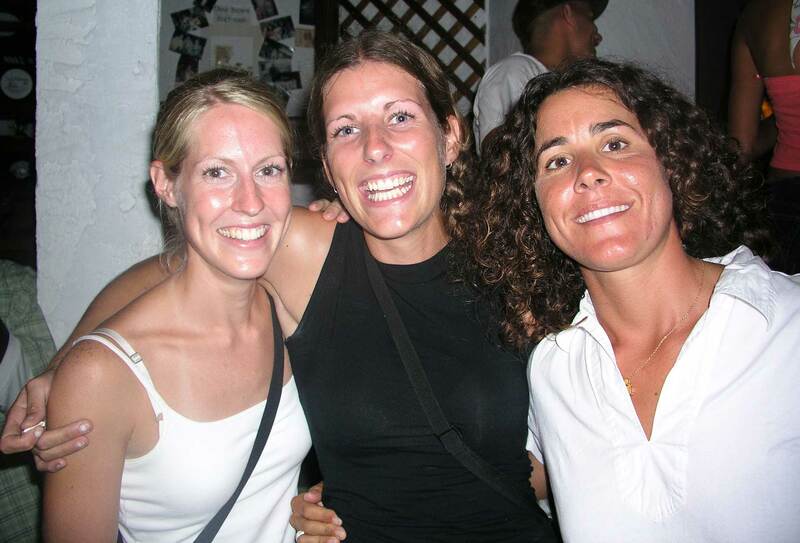 The friendships that were formed while at the Shark Lab are still strong today, and one of the greatest rewards of being at the lab. Living at the Shark Lab and in Bimini made such an impact on my appreciation for exploring and embracing all the island and the waters had to offer. Doc is definitely a character and has a very strong personality. I was awe struck the first time I met him because of what he has accomplished in the shark world. 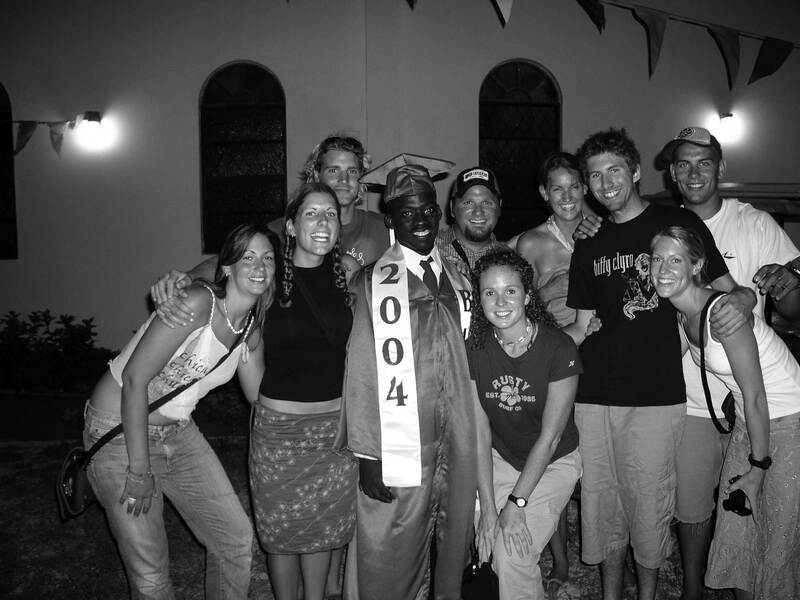 If it wasn’t for his dedication to the lab, none of us would have such fond and amazing memories of Bimini and the sharklab. Doc teaches you how to work hard but reap the benefits of all of your work.